Mary, Quite Culinary: Best . Guacamole . Ever . Best . Guacamole . Ever . I've eaten a lot of guacamole in my 30-something years. Granted, most of it has been in the last ten years or so because for the longest time I was very anti-guacamole *gasp! * Most of what I had eaten tasted like bland, mushy, goop. That was before I started making my own and was able to tweak a basic recipe into bowls of chunky, spicy, yummy-ness. This recipe has been known to convert even the most adamant guacamole haters and impress our friends who are guacamole connoisseurs. It makes appearances at nearly every football party and social gathering. I hope you like it, too! If you're making this recipe for a larger group, you'll want to double (or triple) the recipe. 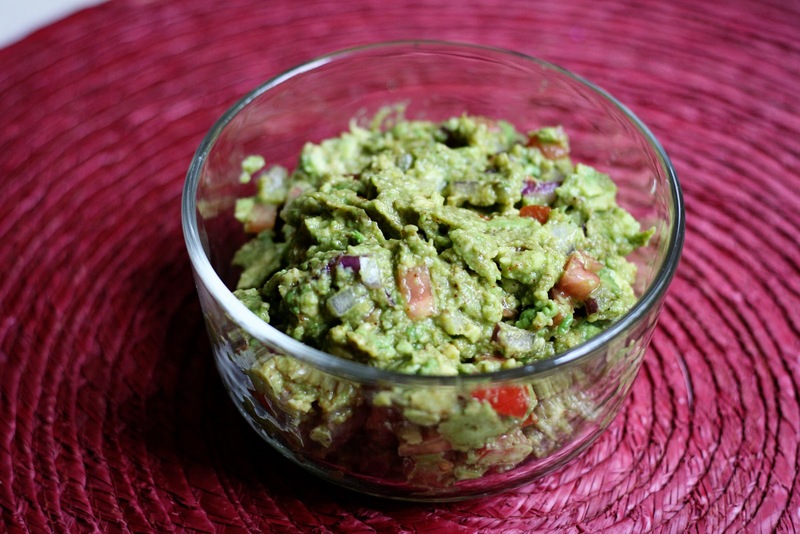 Keep in mind that guacamole is best right after it's made, as it tends to turn brown quickly. One tip, that my brother-in-law told me about, is to place the pit of the avocado into the guacamole after it's made to prolong the freshness. It really does help! If you're new to avocados, here's a great tutorial on how to open them. Place your pitted avocado halves in a large bowl. Sprinkle on the salt and squeeze the lime juice over both halves. With a fork, mash/muddle the avocado till you reach the desired consistency. I prefer my guacamole chunky, but some like it thinner. 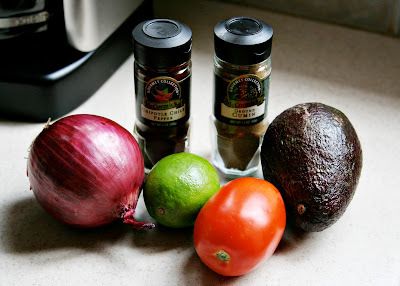 Combine the avocado mixture, tomatoes and red onion with a spoon. Sprinkle the cumin and desired amount of chipotle pepper and combine. Grab your tortilla chips and dig in! Yum! I use a similar recipe but I've never tried ground chipotle chile pepper--I bet that makes it even better!